A unique pictorial woven rag carpet with nautical seaside scenes woven in at the head and foot of the rug. 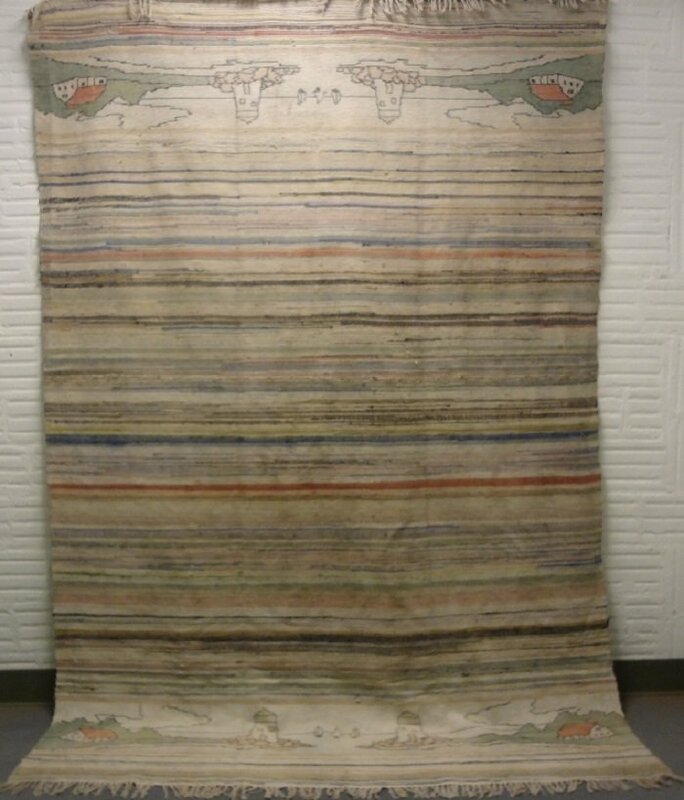 Striped background as in traditional rag carpet, Woven in full width with no seam. I adore finding something I have never seen before, and this rug is that! Multicolor in soft tones that make it easy to incorporate into any interior, or can be used as a bed 'rug' or spread, as many of my clients do with rag carpet and catalognes.